Join DBFA in our pursuit to make Baltimore a place where families thrive! 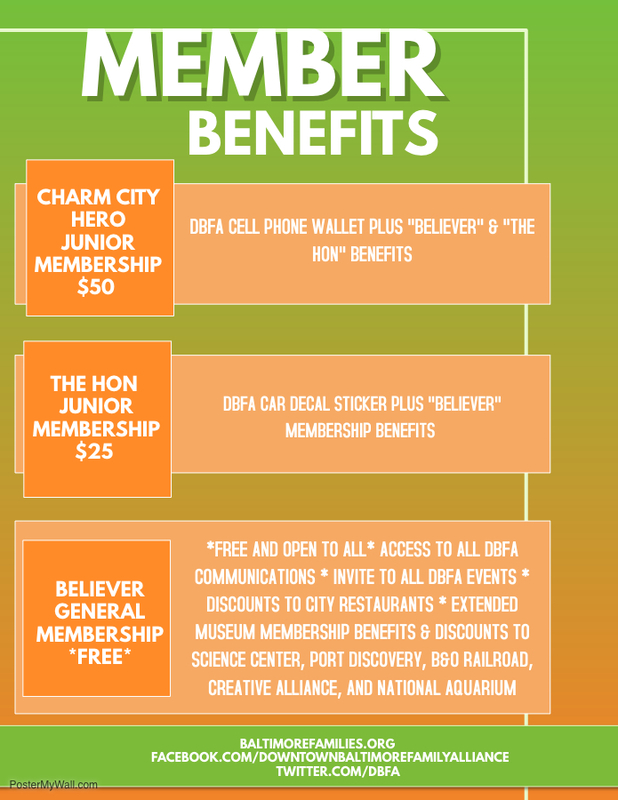 As a member of DBFA, you'll be entering an alliance of thousands of city residents with a mission dedicated to making Baltimore a place families love to call home. If you'd like to make an additional tax-deductible donation with your membership, simply fill out our donation form and we'll get you the information you need! Give back to your Baltimore community! DBFA has year-round volunteer opportunities from community engagement events, to becoming a member of our leadership circle & helping to catalyze change. Let us know how you'd like to pitch in!